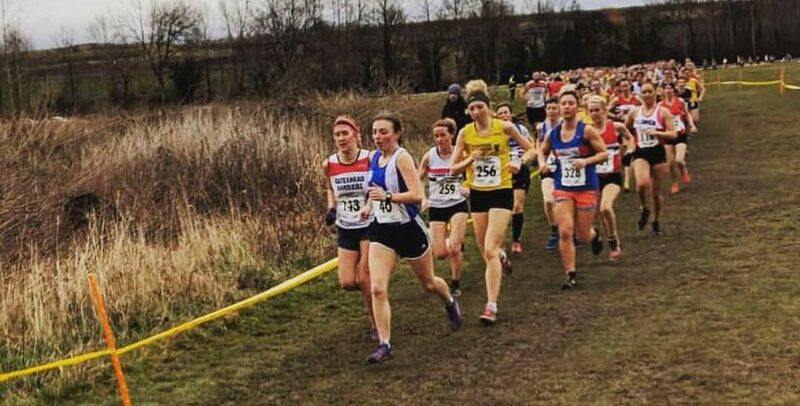 Twelve seconds separated the first three in the Senior Women’s Race which featured forty five Clubs and three hundred and seventy six athletes at this years Northern Cross Country Championships. 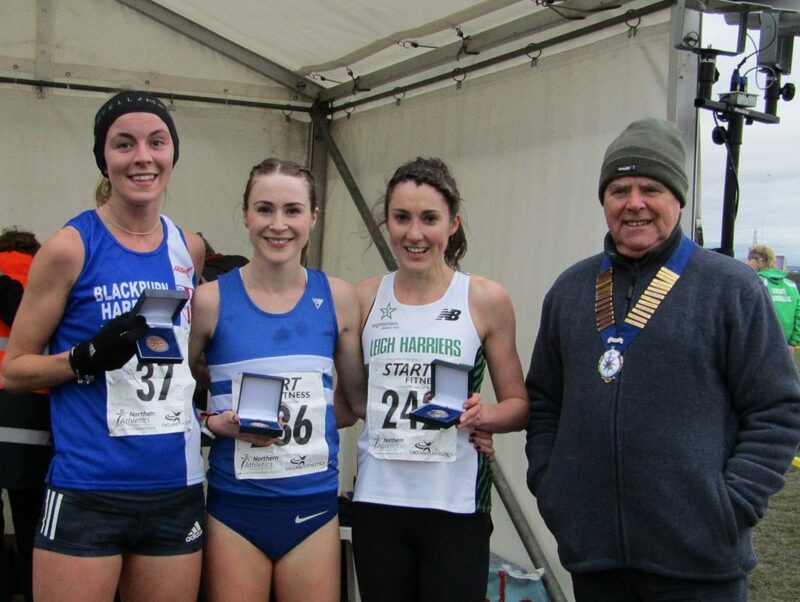 Winning the Bronze Medal and leading the Harriers to a very good 8th place overall, Jess Judd ran a great race to finish in 3rd place posting a time of 27.48 behind Lauren Heys in 2nd (27.40) and the winner Mhairi Maclennan (27.36). 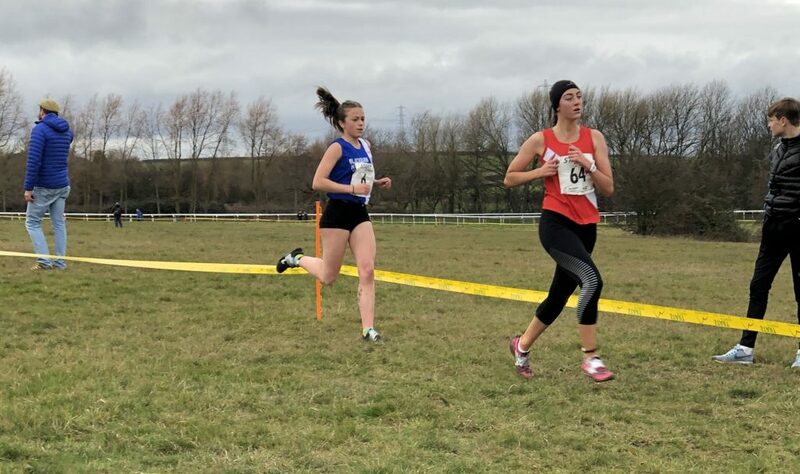 Great support too came from Annabel Ralph in her first Northern Championships for the Club as she came home in 43rd spot (31.43), Carmen Byrne clocking 33.45 in 82nd, Ellen Sagar-Hesketh finishing in 160th place (37.01) and Linday Davies (217th) with a time of 39.01 who told the Club “The senior women did really well today, top four finishing in 8th place team, well done girls. I found it quite gruelling and long, went off too fast at the beginning and paid for it in the 2nd mile, 3rd mile I went into auto pilot and the rest was just a case of finishing the long and windy path to the finish. I think it is tough mentally too because it is so open and you can see every field and twist and turn. 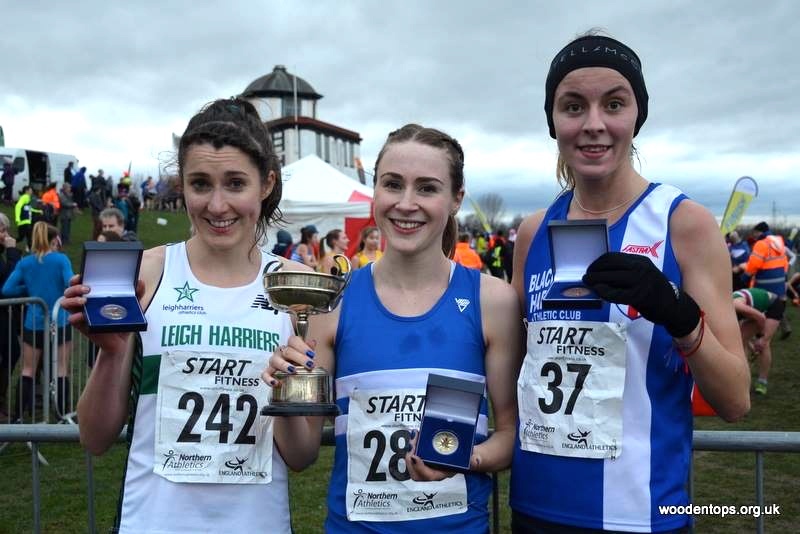 Again well done Girls!! 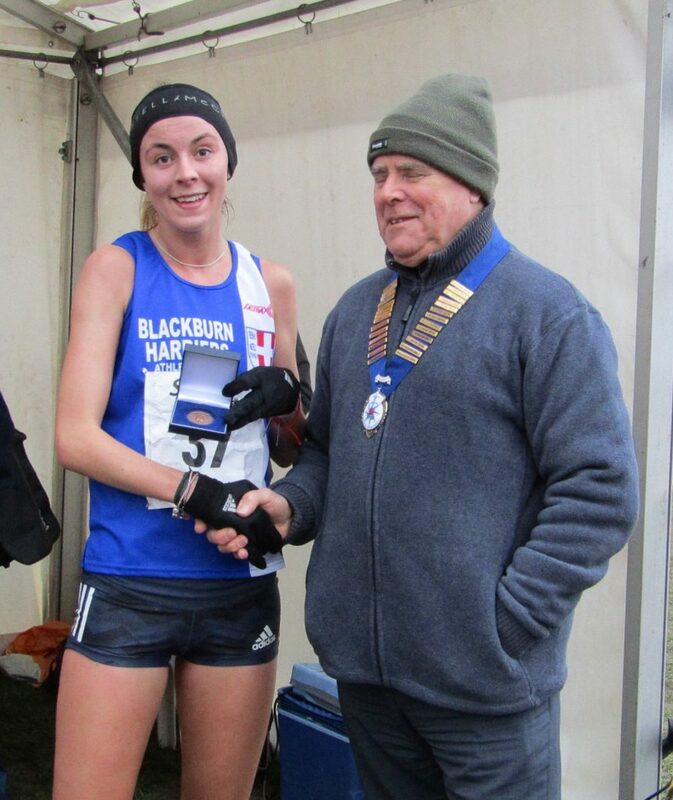 And Jess Judd 3rd place”. 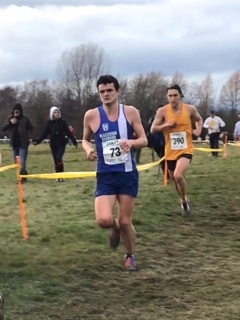 It was also a good performance by the Senior Men as they, like the Women, finished 8th team out of 53 Clubs and 704 athletes and none more so than the run of Tim Raynes who finished 16th overall – clocking 39.58 to lead the Team in. 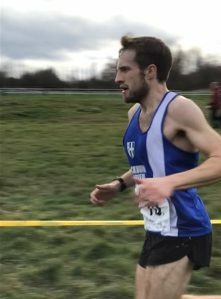 Afterwards, Tim spoke to the Club about his run and the perforamnce of the team saying “Having finished 33rd last year, my aim was to finish in the top 20 this year. 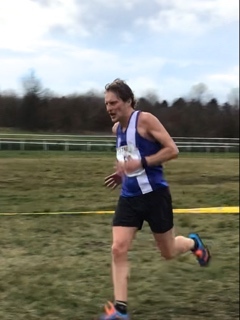 The race got off to a fast start, and I managed to get into a large lead pack of runners. I perhaps paid slightly for the fast start as I struggled in the second lap. Into the third lap, I managed to pull it together and got into a good group. 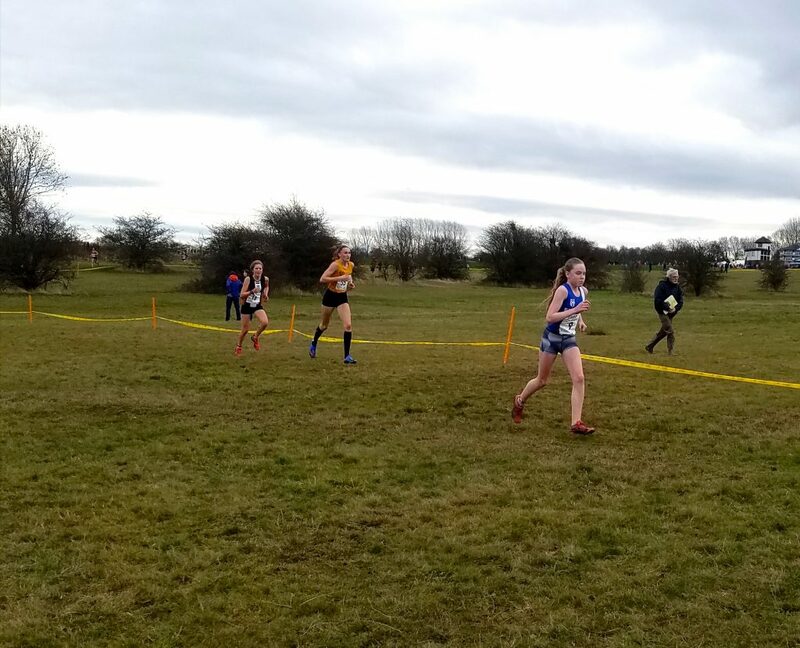 I knew at this point I was a few places outside the top 20, but I was able to push on and pick off runners in front and finish strongly. 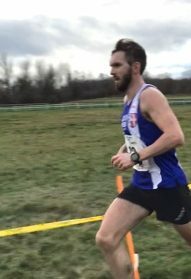 Overall, really pleased with my run and hope to be able to carry my form into Barcelona Half and the rest of the cross country season. 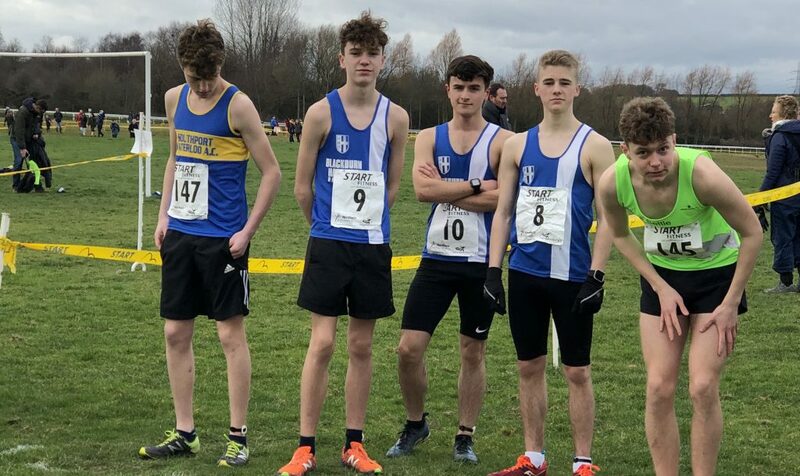 Great runs from the other lads. Fantastic to see us finish 8th, showing the depth of our squad! 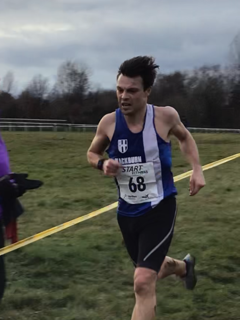 Some good packing which helped the final team placing, saw Marc Hartley finish as 2nd counter in 90th position with a time of 42.35 followed by Josh Holgate (42.48), just five places further back in 95th, Chris Davies in 109th running 43.15, Tom Blaney in 120th spot (43.52) and Paul Bradshaw with a time of 45.11 in 168th. 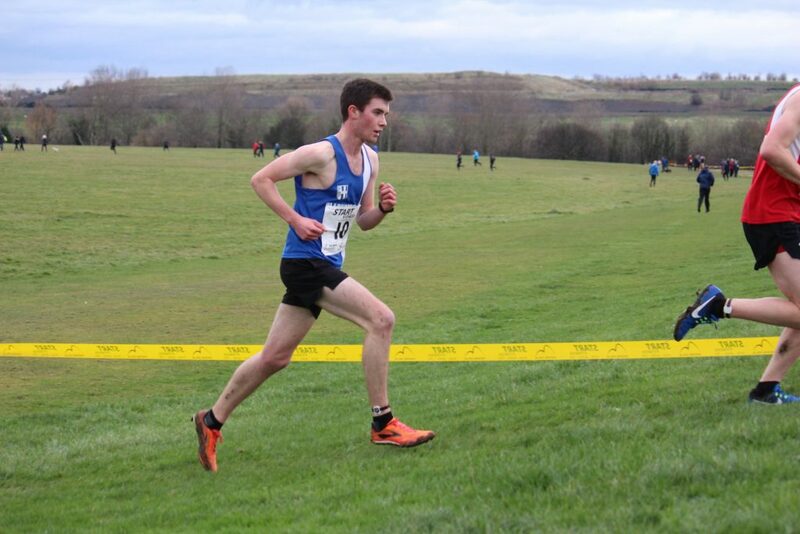 Just six places and seven seconds behind Paul came Joe Howe in 174th with a time of 45.18, followed by Calum Holmes debuting in his first Northern Championships for the Harriers (212th) in 46.10, John Horrocks who has been hitting the Fells of late in 236th position (46.49), Paul Guinan in 300th (48.29), Chris Balderson clocking 51.47 in 428th, Paul Jeffries, another Harrier in his first Northern Championships (538th) in a time of 55.27 and Allan Hartley (62.54) in 657th position. 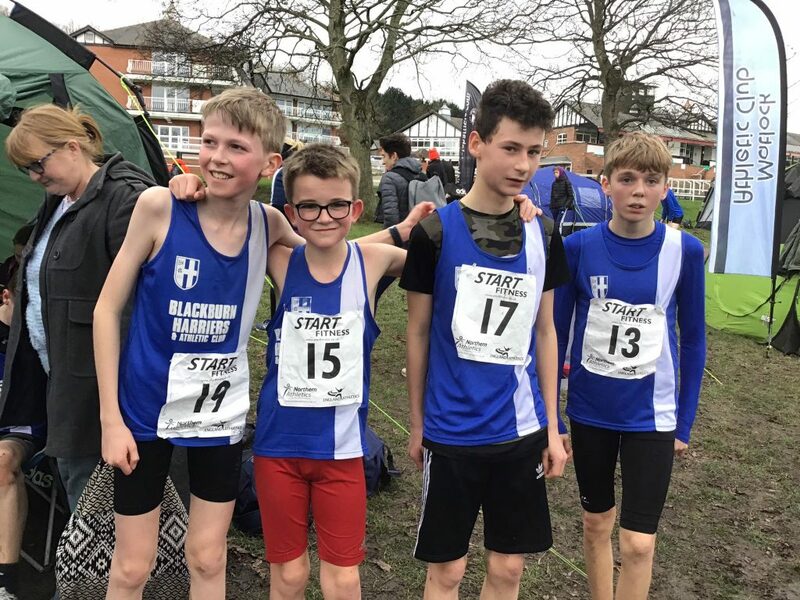 The Harriers U13 Boys produced the third top ten team finish on the day as they placed 8th overall out of the 23 Clubs competing, featuring 201 runners. 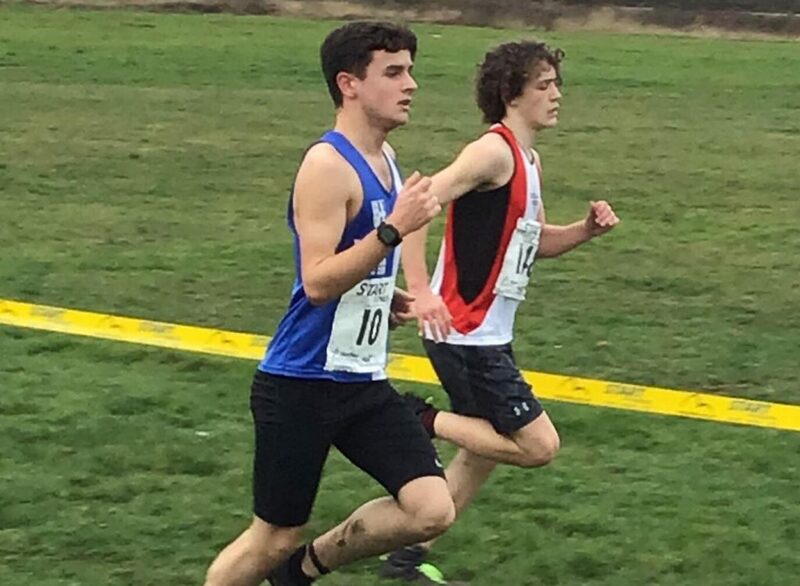 Isaac Butler was the first across the finish line for the Club in 26th spot, running a time of 10.32 followed by Dexta Thompson in 33rd spot in a time of 10.42, Theo Watson (81st) in a time of 11.13 just one second in front of Codie Dewhurst in 83rd (11.14), Daniel Smith clocking 11.44 in 126th place, Oliver Gill (11.47) in 131st, Jack Paget-Fowler (132nd) in a time of 11.48 and Ben Livesey (12.19) in 161st position. 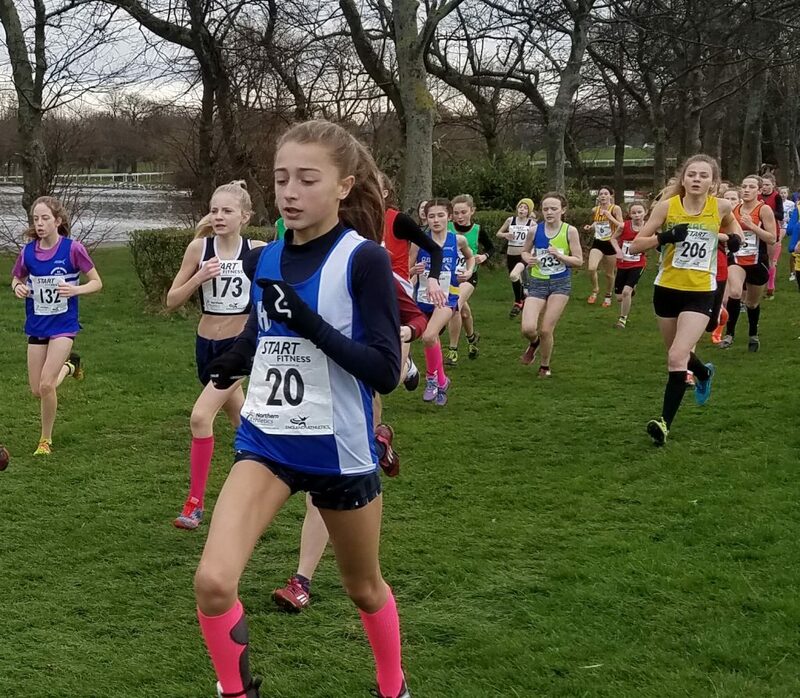 Just two Harriers in the U13’s Race which saw Keira Haxton place 84th out of the 208 athletes in a time of 12.01 with Isabelle Hartley in 203rd (14.21). 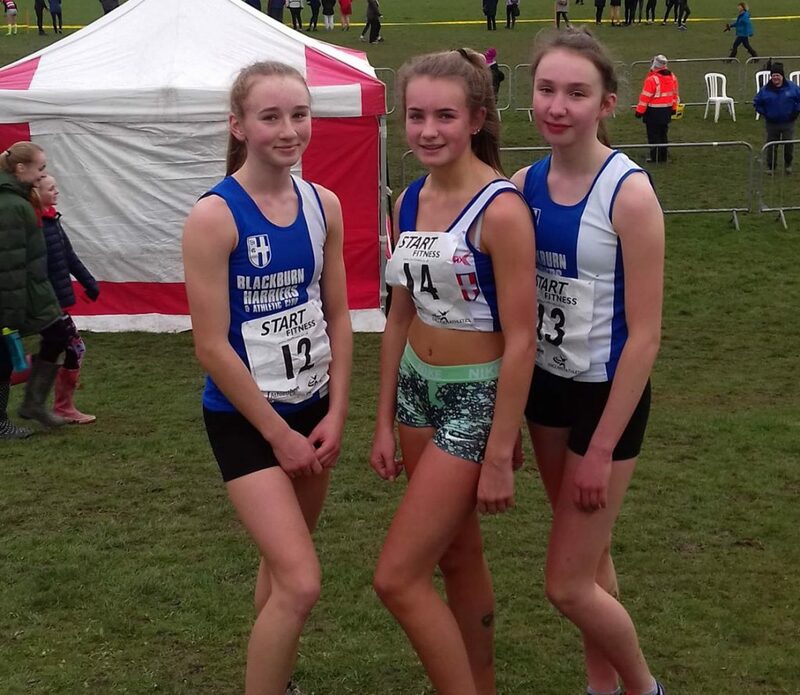 In the U15 age groups Ethan Barbarewicz placed 141st in a time of 15.02 whilst in the Girls race – Eleesha Charnley was first home for the Club in 74th place in a time of 15.44 with Hollie Cubbon 107th out of the nearly two hundred strong field clocking 16.09 and Leah Hoole in 128th place (16.33). 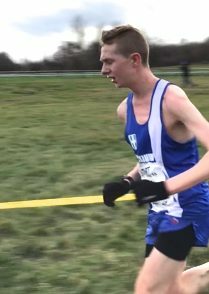 Matt Ramsden finished in the top ten in the U17 Men’s race clocking 20.03 (10th) with Sam Hodkinson in 40th spot running 20.09, the same time being given to the four places between 38 and 41st and Harry Wilkin in 125th place (24.51). 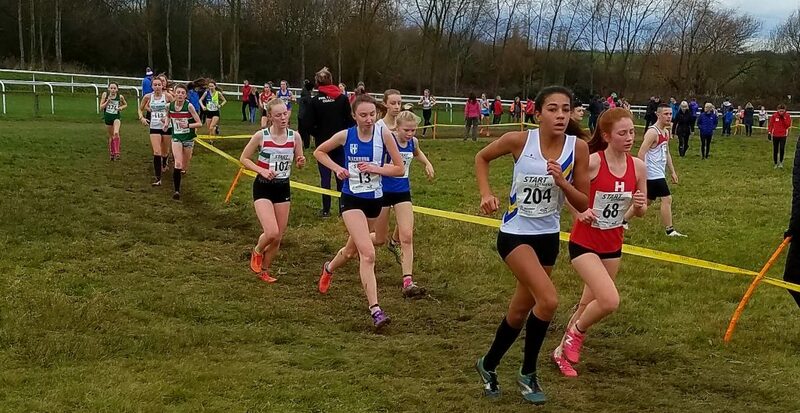 Amy Davies clocked 19.56 as she came home in 36th place from 107 athletes in the U17 Women’s race. 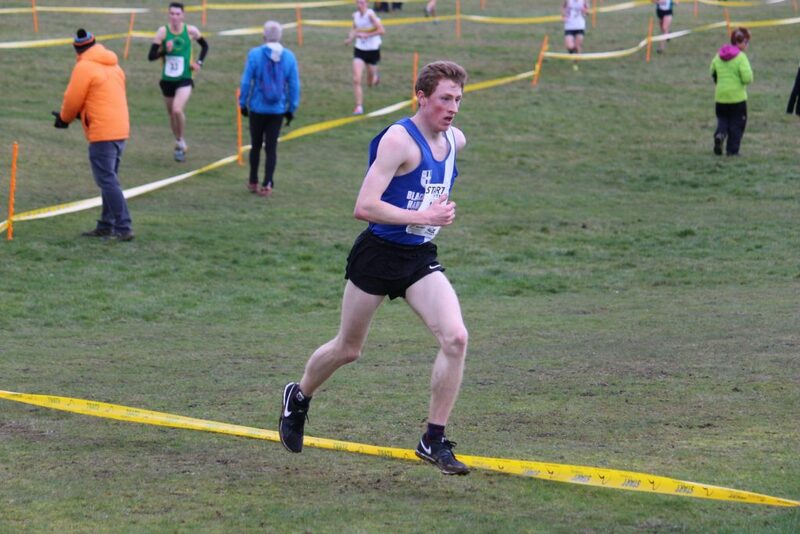 Thomas Marchant and Joe Gebbie ran in the Junior Men’s race and Maddie Elliott in the Junior Women’s. 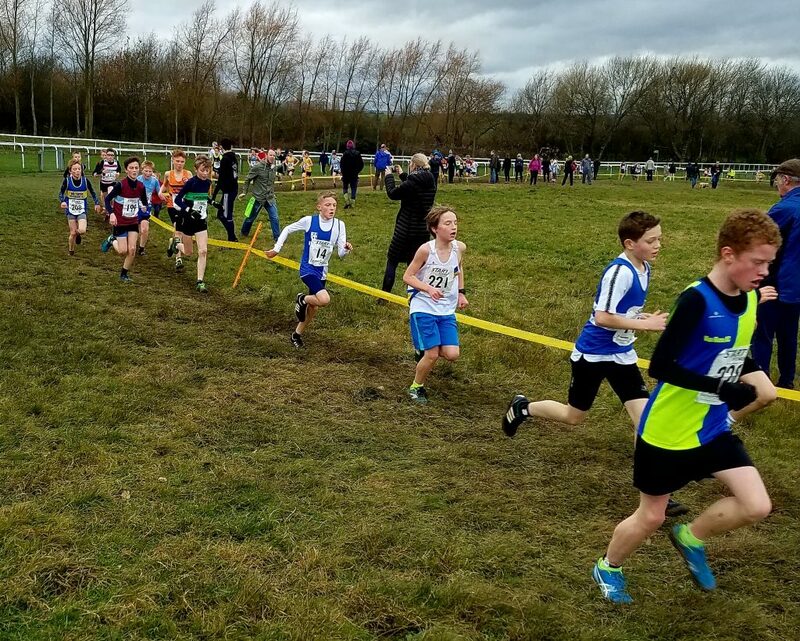 Thomas finished in 25th spot running a time of 28.12 as Joe ran 30.02 in 45th and Maddie in her race clocked 23.23 in 44th position. 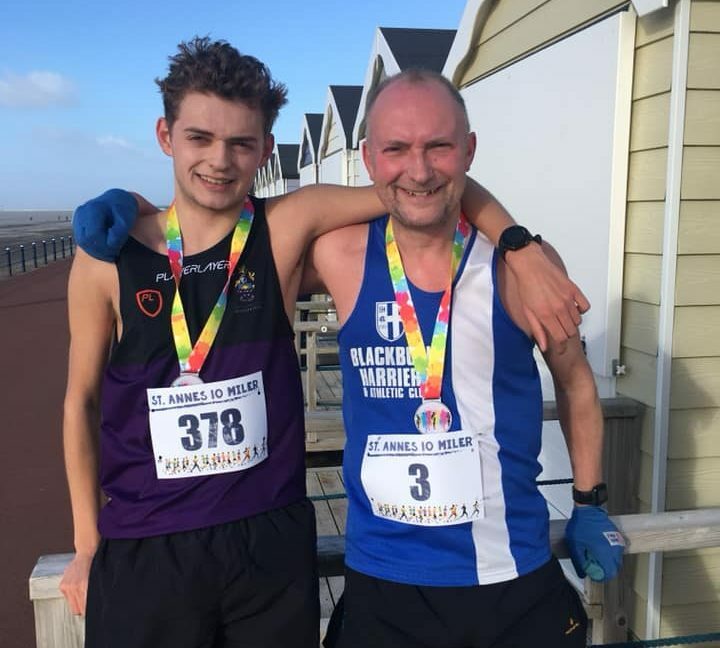 Two 2nd places for the Harriers in Vet categories at the race today, won by Mike Toft in 58.44 run in a pretty torrid wind. 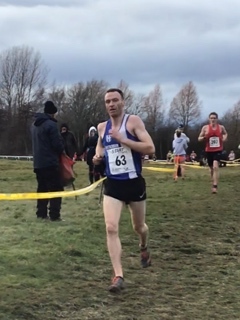 Jonathan Bridge finished 14th overall out of 335 and 2nd V50 with a time of 68.00 – son Joe Bridge clocking 73.04 in 30th – with Janine Fallon also taking a 2nd place in the Women’s V40 category and 65th overall in a time of 78.51. 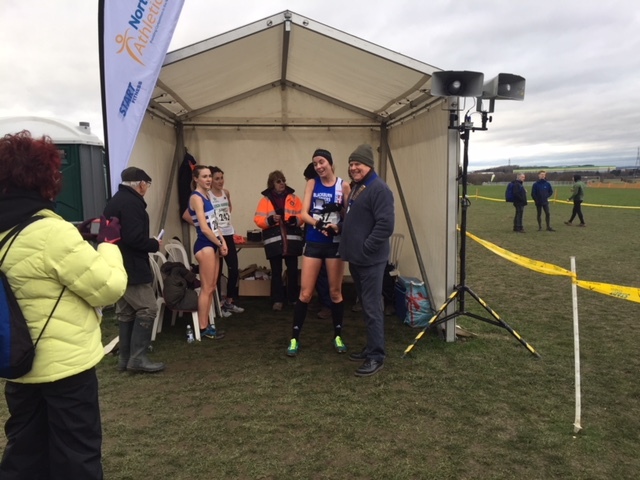 Over 200 runners lining up for this years Inskip Half-Marathon, won by David Rigby in a time if 72.10. 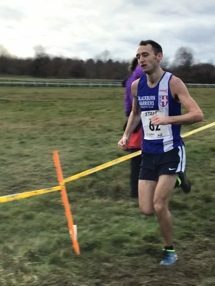 V45 Paul Brindle went into the Race with a personal best time of 79.56, which he set in 2018 at this same race. Today, Paul chopped that down by nearly a minute as he came home in 16th place overall, clocking 79.08. Speaking to the Club after the Race, Paul was clearly pleased as he told us that “After nine months of going through the motions training. Marshalling at the RV10K i was inspired to see so many senior Harriers PB. Just a kick up the arse I needed. So at Inskip half it was a perfect day to race, cool and no wind. Taking if steady for the first few mile, my confidence began to come back. 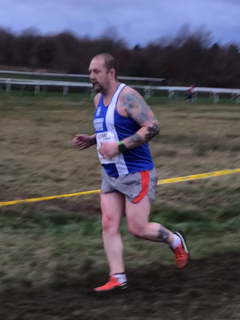 Pushing on hard for the last five mile I really enjoyed the battle of trying to PB. 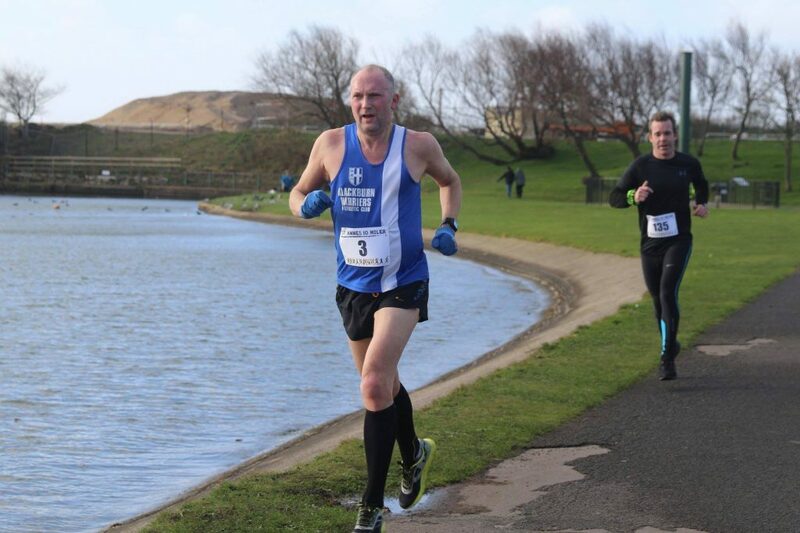 Which I surprisingly managed; so great news for Barcelona Half”. 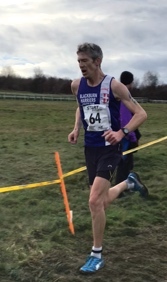 Another good run by John Horrocks on the Fells at the weekend following his top 3 place in his previous race, a week ago at Ashurst Beacon. 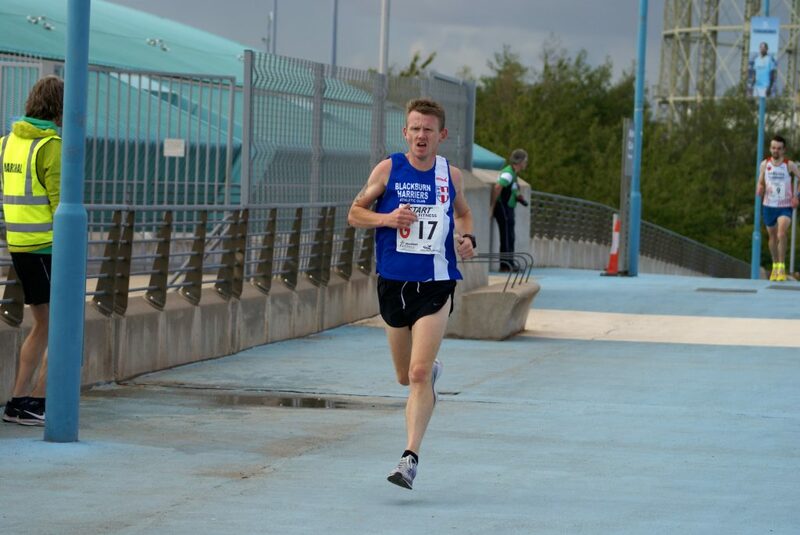 This week John placed 9th overall, clocking 74.58 in the race won by Mark Burley (72.10). 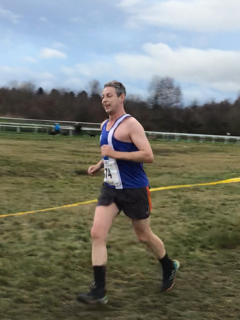 John spoke to the Club afterwards commenting “Hoofstones fell race today, just over 8 miles and 1200ft. Bit of navigation involved in this one which is good as I needed the practice. First 2 miles following the red flags with plenty of climbing up to the first check point, the higher we got the more snow covered the ground and thicker the cloud got which made it more interesting trying the navigate. After the first checkpoint it was then make your own way to Noah dale (CP2) and Hoofstones Trig (CP3) which was straight forward enough. I got to the top in the leading group of 7 and then came the tricky part of navigating back to sportsman (CP1 and CP4) where it was very rough ground and everyone had different ideas of what line to take. I took a compass bearing to try and hit a wall which would take me to the checkpoint but missed it and ended up about 50m to far down. 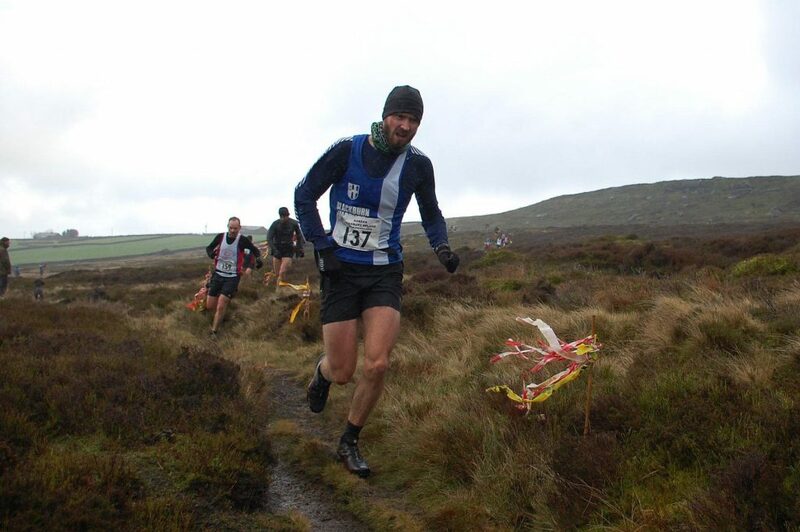 Lost a few places having to run back up to the checkpoint then fast decent to the finish”. 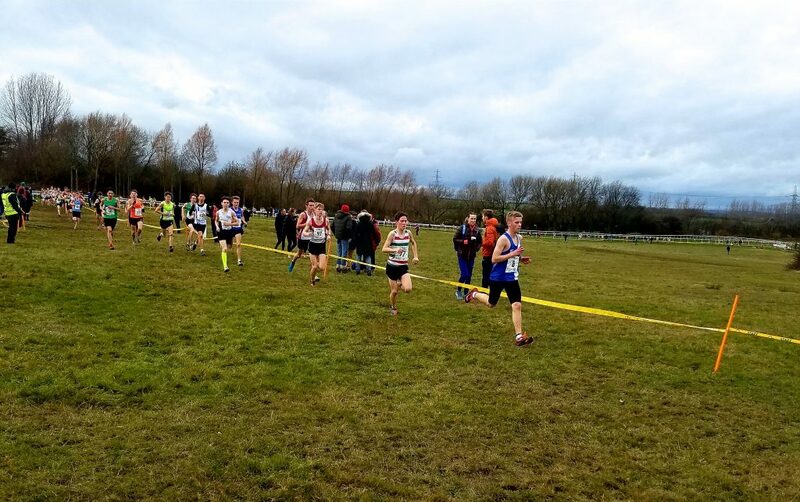 Four Blackburn Harriers in this one – Andrew Knowles, Martin Kerry, Danny Maynard and John Cookson – in a field of seventy athletes. 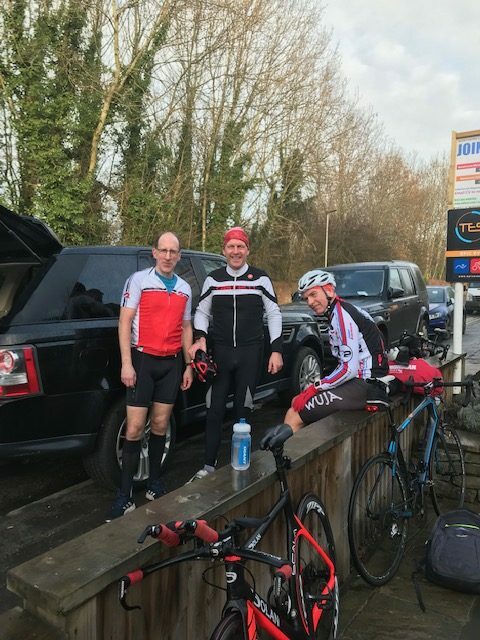 Andrew who is training for a half-ironman told the Club that “Sunday’s Epic Events, Winter Duathlon saw 4 intrepid Harriers brave chilly wet conditions. 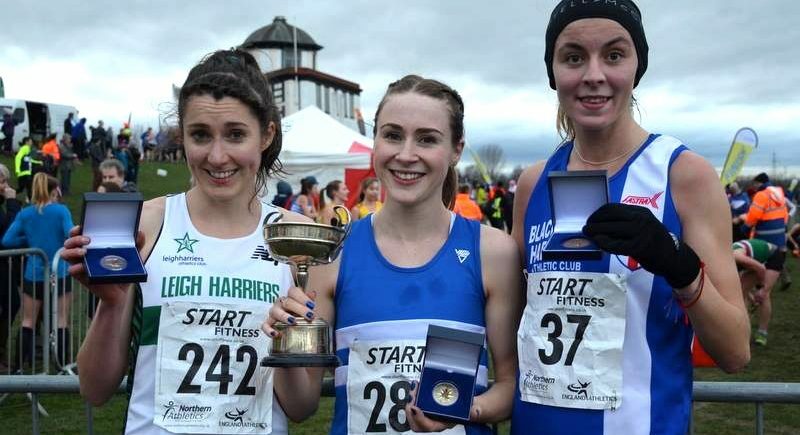 Andrew reports that it was primarily a training race, but let’s be honest a race is a race. The bike leg was an undulating 11 miles with a sting in the tail ‘Hunter Hill’ near Parbold, I thought I was having a ‘solid bike leg’ until a couple of lads flew past me like I was stood still, I edged the bike leg from Martin. 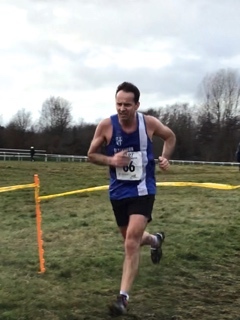 The run was also undulating, with Danny running strongly followed by ‘Cookie’, me and Martin. 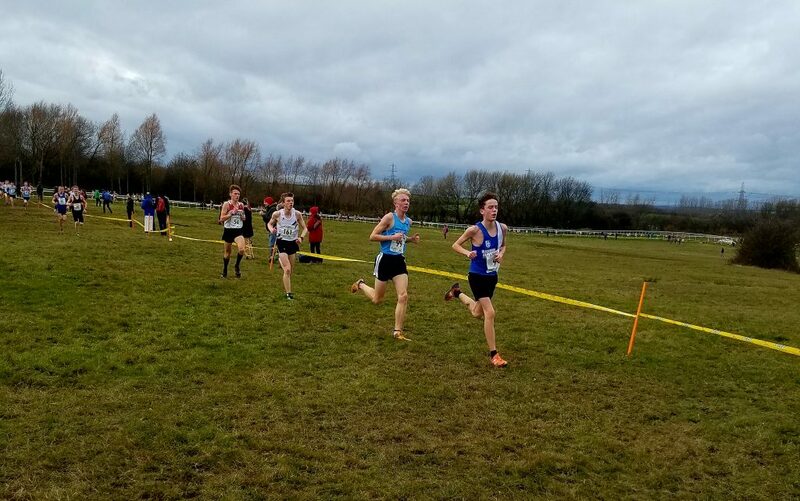 All the lads enjoyed it, overall results as follows Andrew Knowles 29th, 55.35, Martin Kerry 35th,56.18 Danny Maynard 45th, 58.42 John Cookson 56th, 60.14. From 70“. 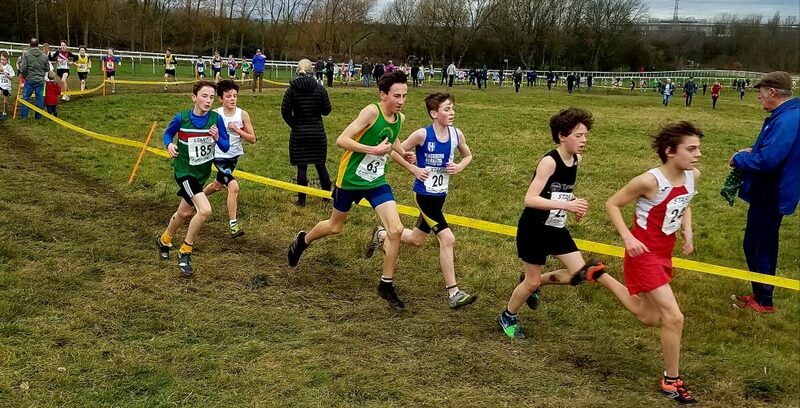 On the U11 Boys Race, Oliver Gill had a cracking race, placing 3rd and just three seonds behind the winner from Leigh – Sam Barlow. 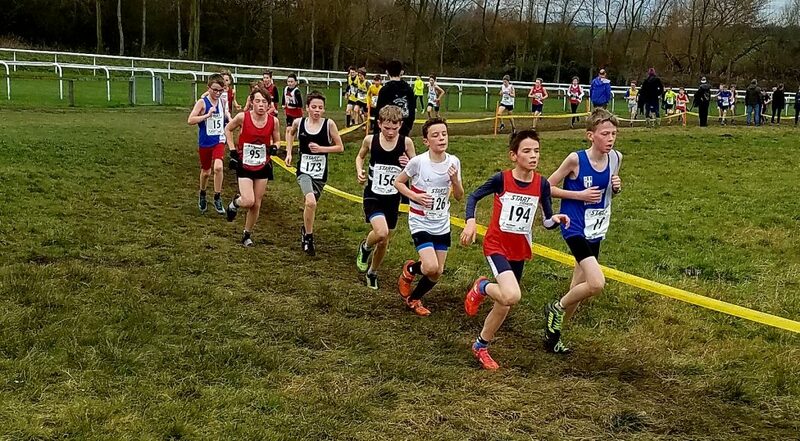 In the U13 Boys Race, Daniel Smith contested in a much smaller field of 21, coming home in 9th spot (14.00). 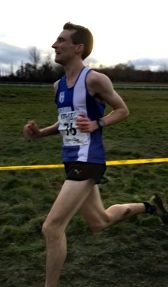 Keith Gill watched both the lads race and commented after that “With a rare free weekend, Oli & Dan had a run in the SELCC to keep the legs moving ready for the Northerns next week. Always nice to run at a new location and against different people. 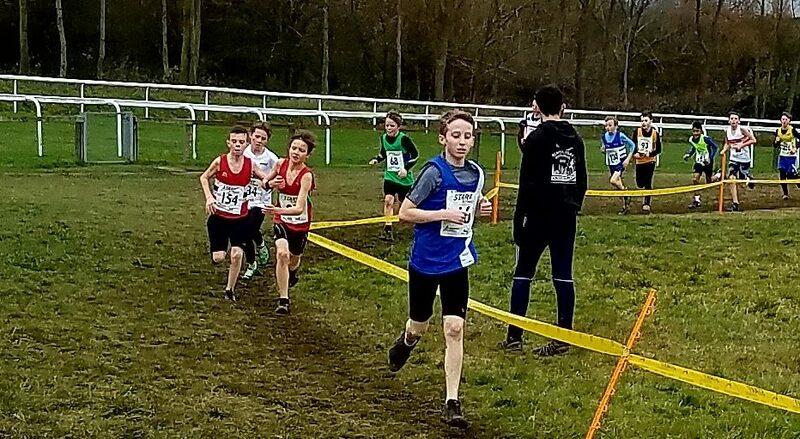 Oli was up first in the U11s, he had a strong run coming 3rd in a field of 54 boys with 6:06 just a few seconds behind 1st (6:03) and 2nd (6:05). 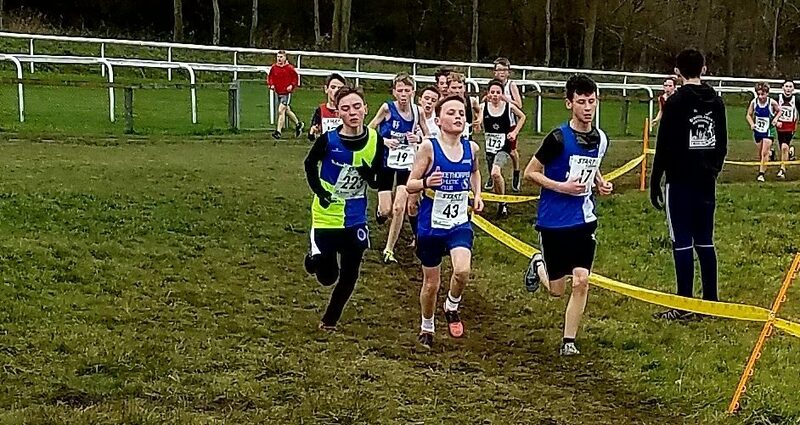 Dan ran in the U13s, continuing his recent good form, he set the early pace and then settled in to come 9th in 14:00. 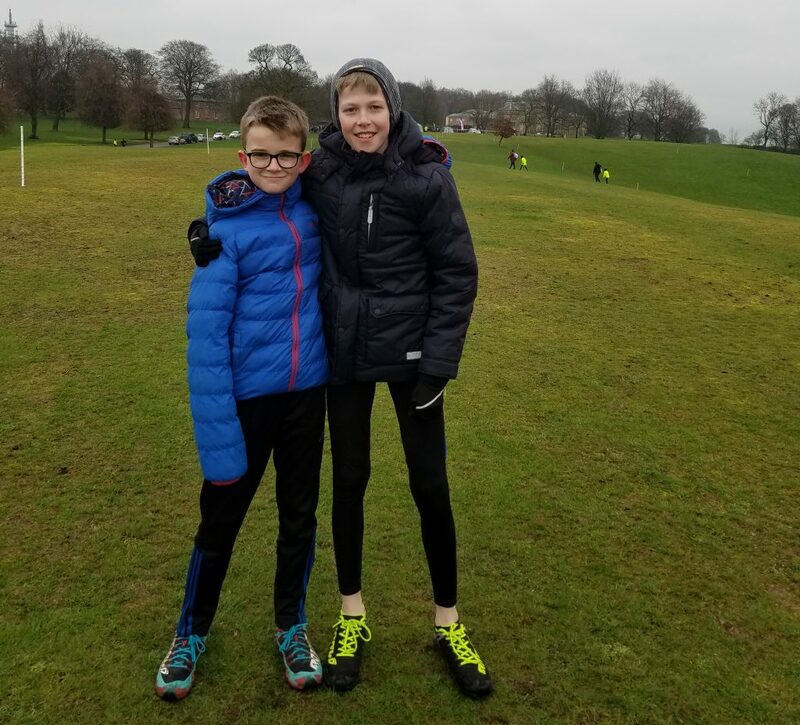 The boys really enjoyed the day out and anybody wanting a change of scenery should consider the next event in Chorley on the 16th Feb with on the day entry costing £6”.